These chic silver gift boxes are a perfect thank-you gift or table favor. 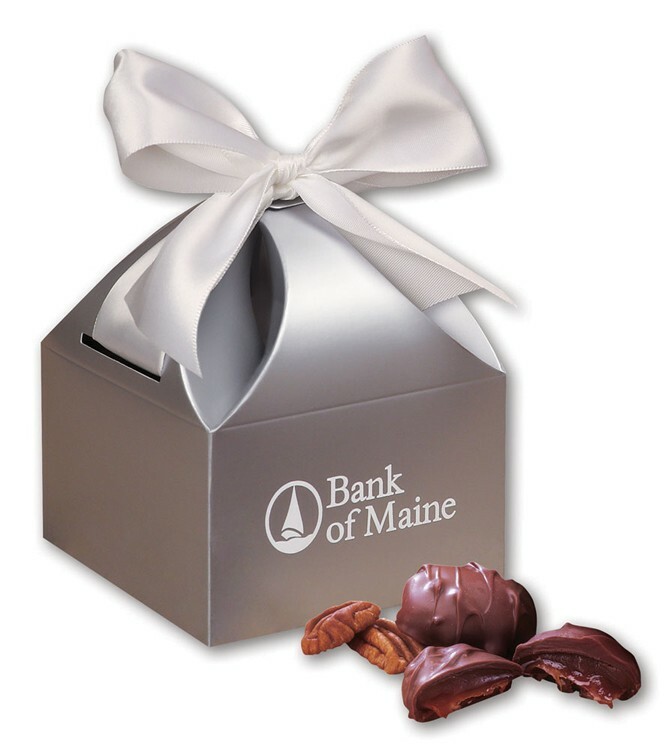 Your logo or promotional message is foil-stamped in one of four colors and the box is tied with a matching satin ribbon. Each box opens to reveal 12 Pecan Turtles, six-ounces. If individual shipment is requested, individual mailers are required at an extra charge.